Aimix PLD concrete batching machine and belt conveyor have been exported to Sri Lanka lately. 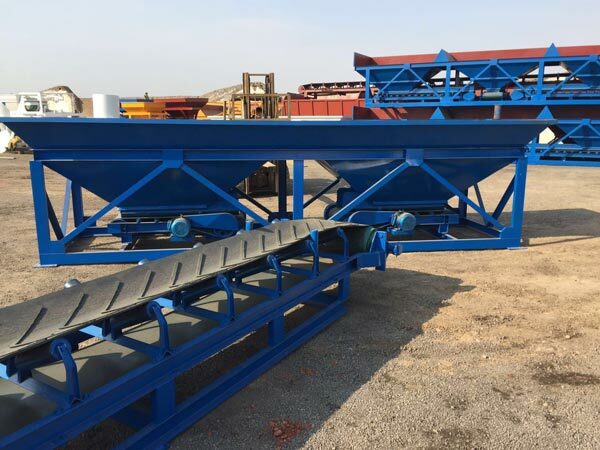 We Aimix Group produce all capacities of concrete batching equipment, and we may customize your personal machine with specific projects requirements. Please feel free to send us your inquiry for a free quotation. Furthermore, we also produce all types of concrete batching plants, concrete trailer pump, concrete mixer trucks, cement mixer and pump, concrete silo etc. By now, our products have been exported to many countries, and please feel free to purchase our equipment with low price and high quality.